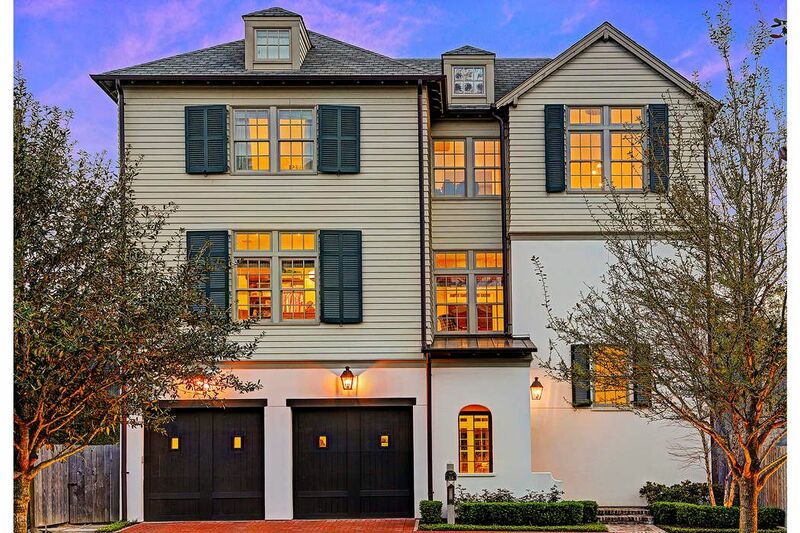 24 Audubon Hollow Lane, Houston, TX 77027 | Martha Turner Sotheby's International Realty, Inc. 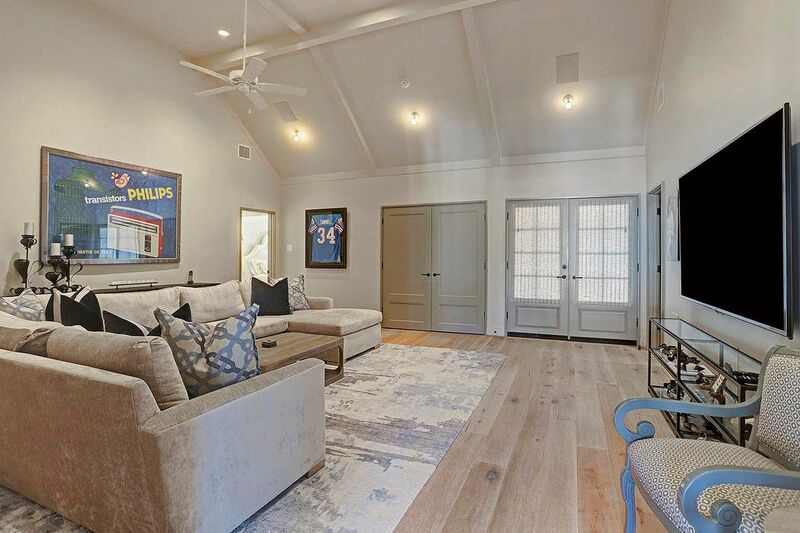 The home offers an open and light-filled first floor living, second floor Master Suite with its Study/Sitting Area and private porch, and third floor with three en-suite bedrooms plus spacious Game Room and covered Rooftop Terrace. The professionally landscaped Back Yard and spacious brick paved Porch with Summer Kitchen is ideal for outdoor dining and entertaining. 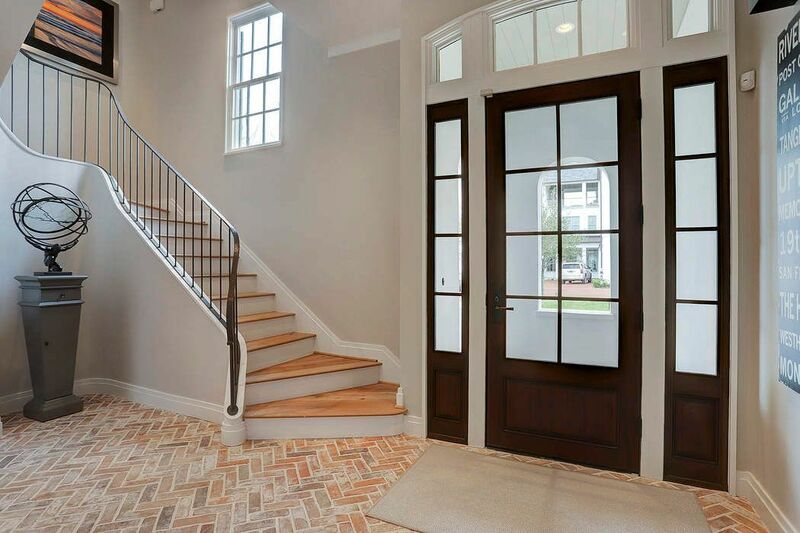 The front door, with its side lights and transom, lets in abundant light into the Foyer, featuring brick floors in a herringbone pattern. Not shown are the elevator to all three floors and the Powder Room. 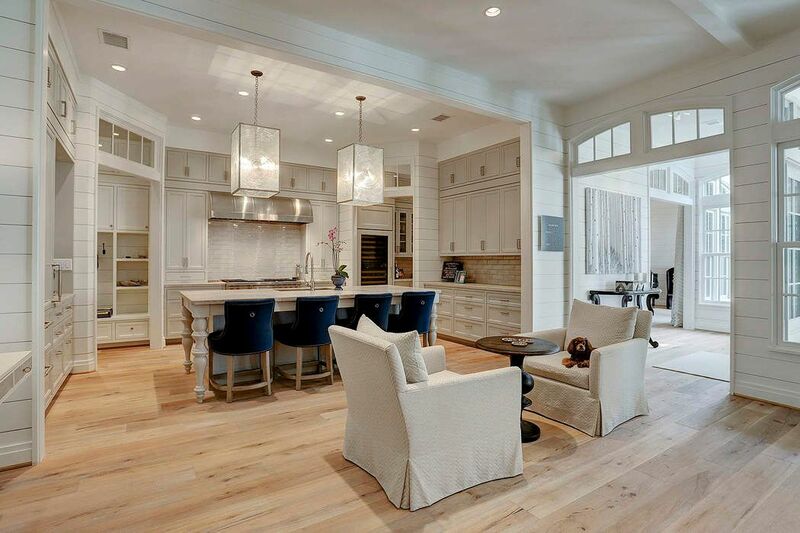 A second view shows how the open floor plan integrates the Family Room & Breakfast Area with the Kitchen. 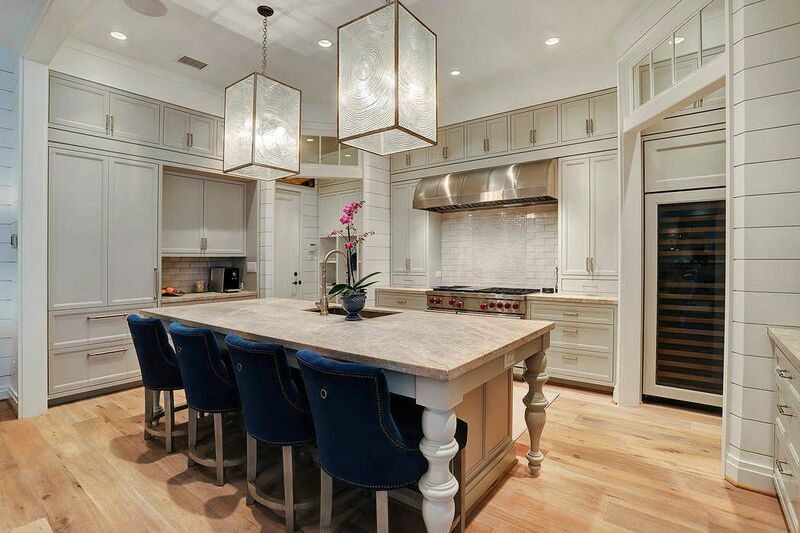 The Kitchen, viewed from a different angle, showing the spacious seating at the island, the full size wine chiller at the entrance of the Butler's Pantry and the Walk-in Pantry. There is plenty of space for a Breakfast Area next to the Kitchen. The open floor plan allows for great flexibility in furniture placement! The Hall, with walls of windows on two sides, connects the Living Room to the Dining Room. 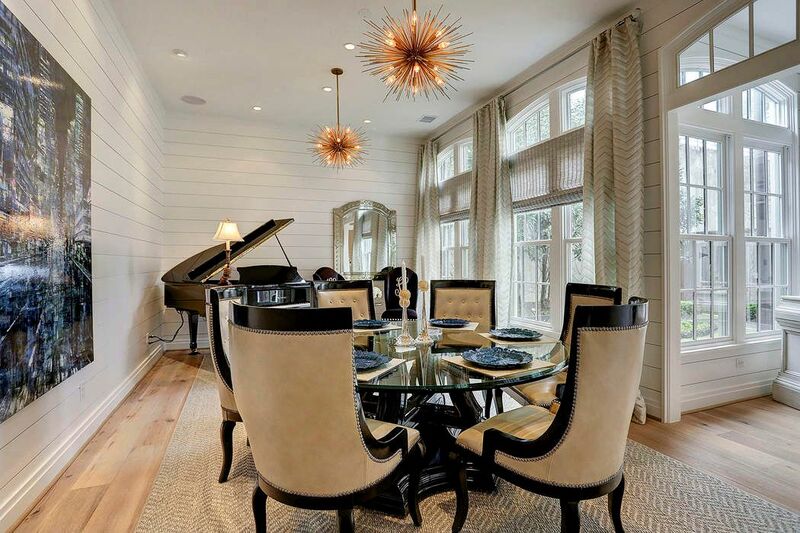 The light-filled Dining Room (20'x13') can comfortably seat family and guests, and a grand piano. 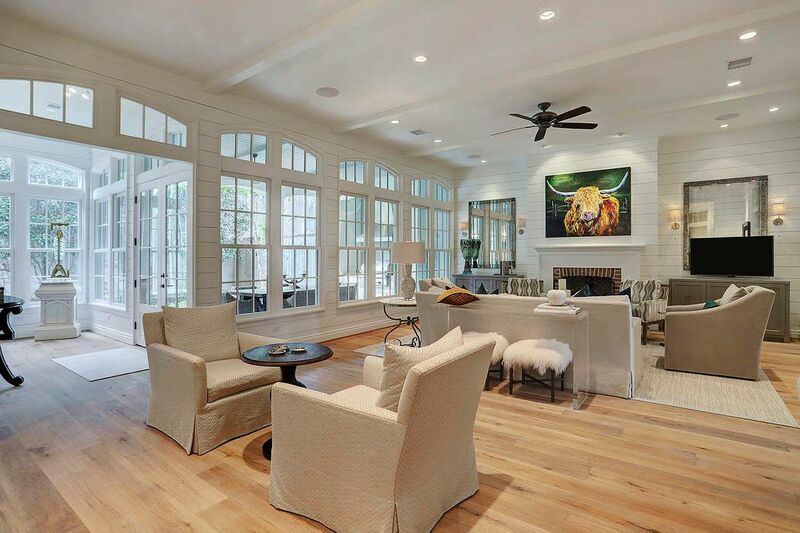 The shiplap walls offer great space to display art. The expansive second floor Master Suite (20'x17'), in warm neutral hues, features seagrass wall coverings, numerous windows with transoms, woven shades and custom draperies. 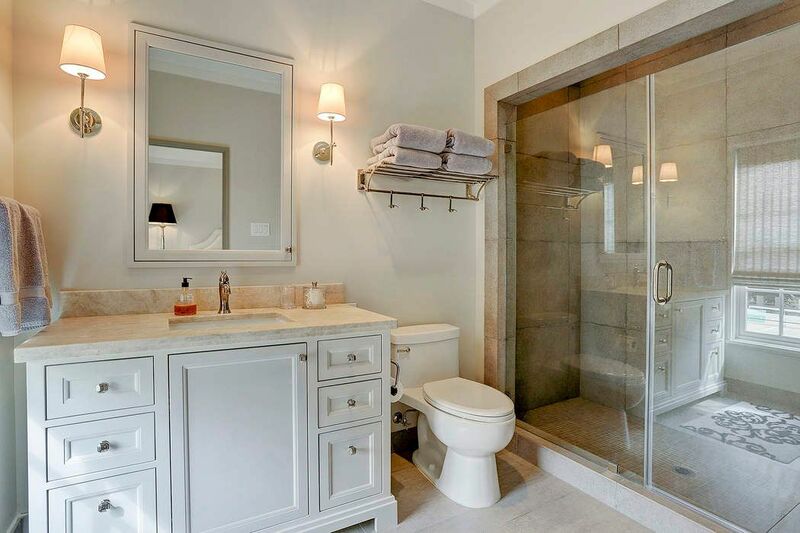 The beautiful neutral tones continue in the luxurious Master Bathroom with limestone floors, marble counters, plenty of storage drawers, and sconce, recessed and chandelier lighting. 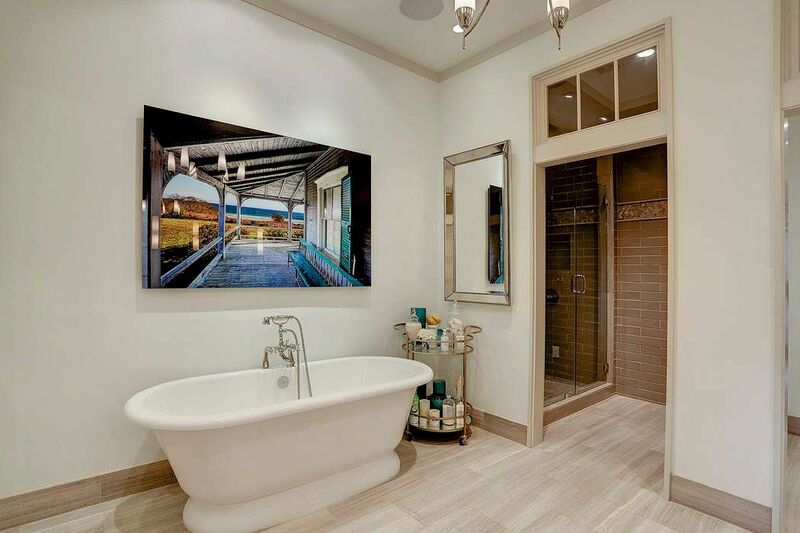 Free standing soaking bathtub and a private corner for the walk-in shower with three shower heads and seamless enclosure. Massive Master Closet (20'x15') featuring a custom and highly functional design with ample hanging, shelf and drawer space and a two-level central island, ideal for effortless packing. 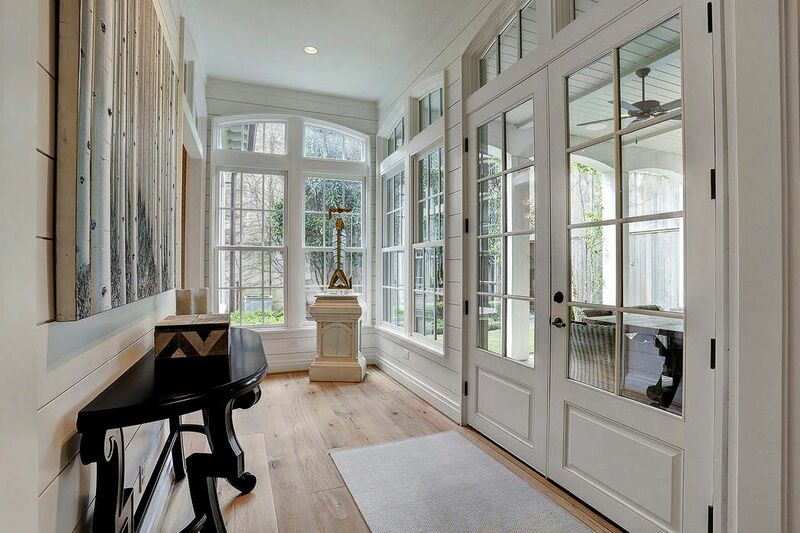 Inviting Study/Sitting Room on the second floor with gas-log fireplace flanked by built-in bookshelves and wall of windows and door opening to the Master Porch. The Laundry Room (10'x7') and Desk Area are also on this floor. Bedroom #2 (20'x14') has vaulted ceilings, beautiful Castle Combe hardwood floors, en-suite bathroom and a large 9'x6' closet. 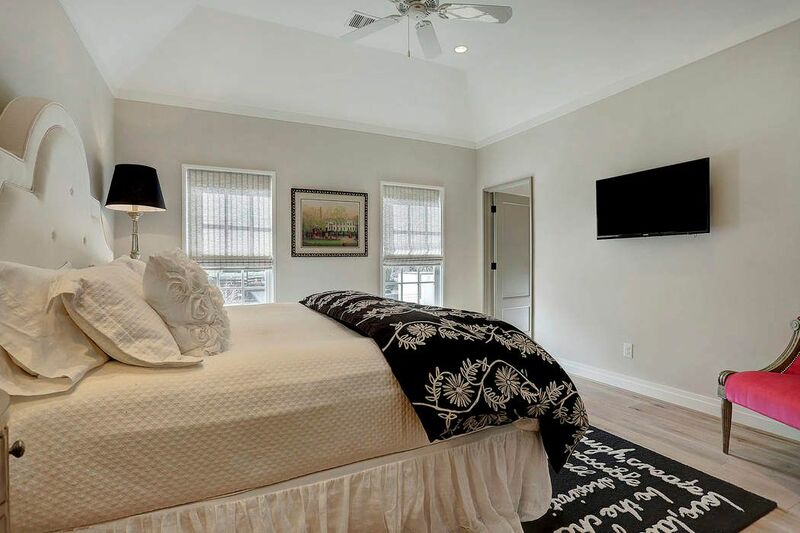 Bedroom #3 (13'x13') has raised ceilings with fan, recessed lighting, hardwood floors and a private bathroom. 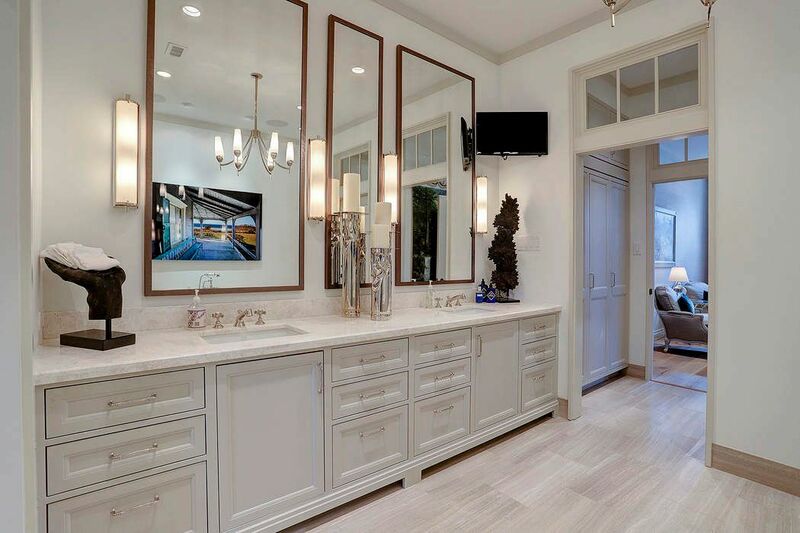 Bathroom #3 with furniture style vanity, wall sconces and recessed lights, and walk-in shower with seamless enclosure. The oversized Game Room (20'x20') is the perfect place for friends and family gatherings. It has vaulted ceilings which makes the room feel even larger, recessed lighting and French doors that open to the Terrace. 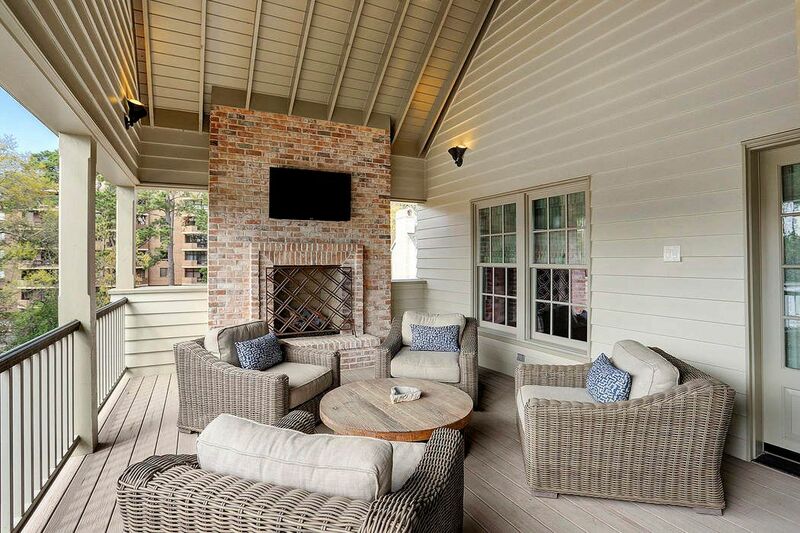 The Covered Rooftop Terrace offers amazing views of the City and is centered around the gas-log fireplace with brick wall & hearth and TV, perfect to watch your favorite game or movie outdoors. The wood-like floors make it almost maintenance free. 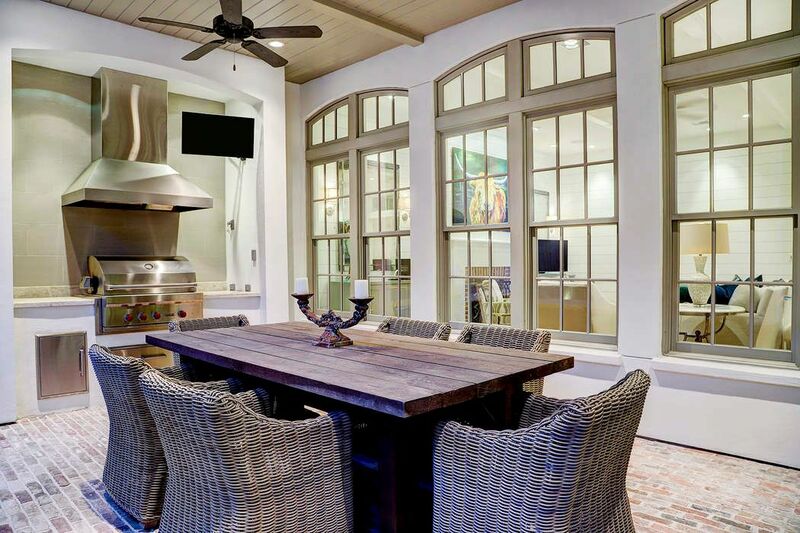 Inviting and spacious Outdoor Dining Area, complete with a built-in Wolf stainless grill and vent hood, and a TV so you won't miss any of your favorite shows or games while enjoying time outside. 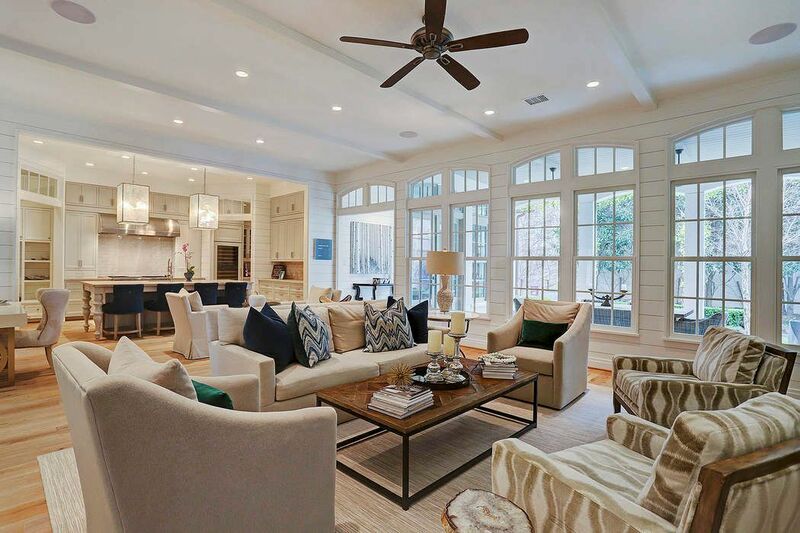 This stunning home features an upgraded home automation system, including lighting, security and air conditioning, as well as A/V integration. 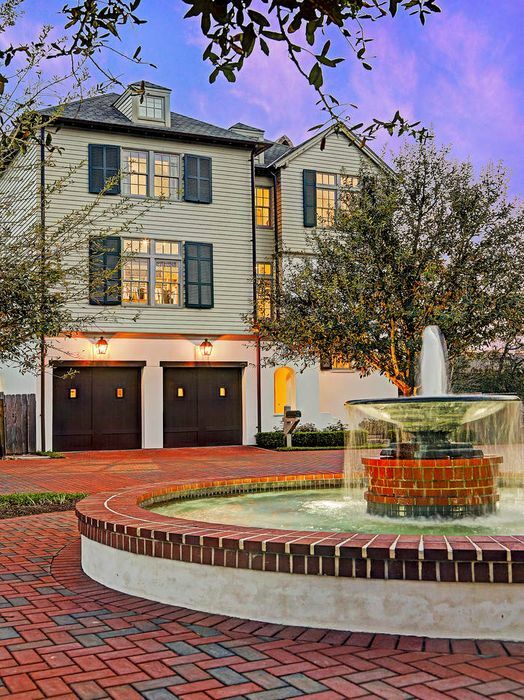 Dusk shot of 24 Audobon Hollow, a striking home in a wonderful setting of only 22 single family homes that wrap around a central tree-lined esplanade with the Garconniere Pavilion and fountain. 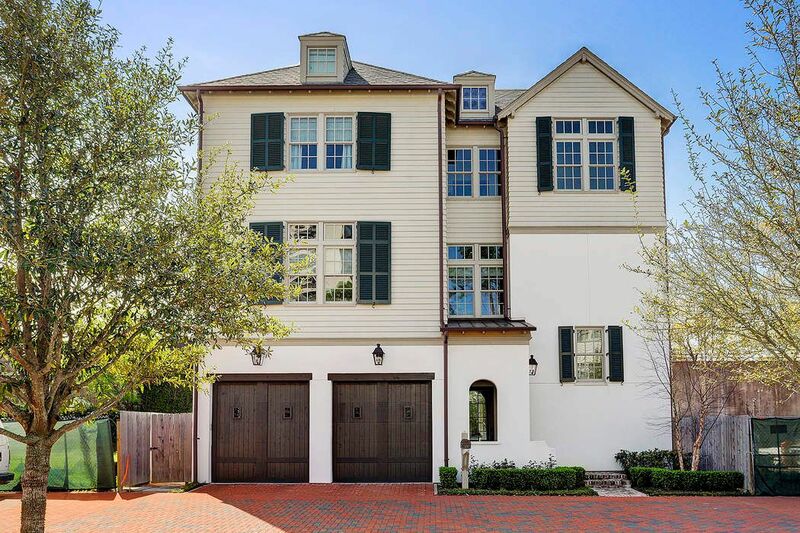 $2,695,000 4 Bedrooms4 Full / 1 Partial Baths5,512 sq. ft. 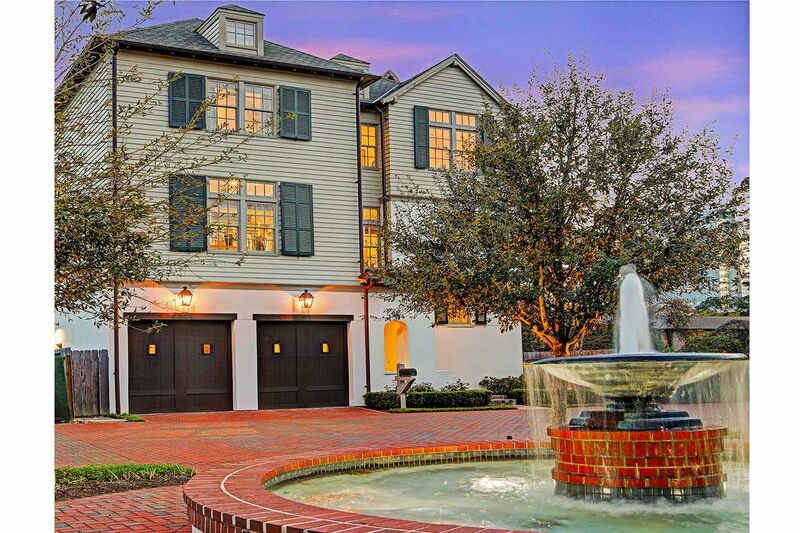 Absolutely stunning four-bedroom home in guard-gated Audubon Hollow with exquisite custom finishes. One of the larger floor plans, The Sycamore, offers open and light-filled first floor living areas, featuring an integrated kitchen, breakfast and living room with wall to wall windows with transoms overlooking the outdoor living and kitchen and backyard. 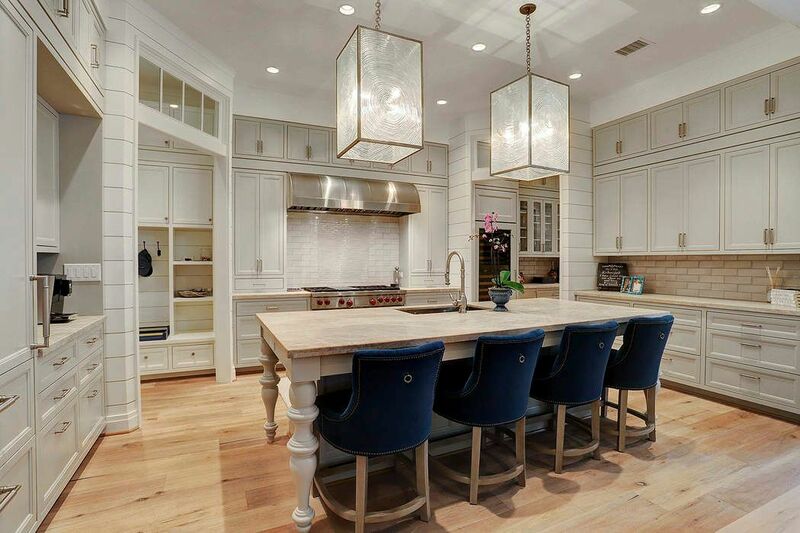 The elegant island kitchen has Taj Mahal leathered quartzite counters, integrated Sub-Zero appliances, including a 180-bottle dual climate wine chiller, Butler’s and walk-in Pantry, and Mudroom. The second floor Master Suite, tastefully decorated in neutral hues, includes an oversized custom Closet with packing island. 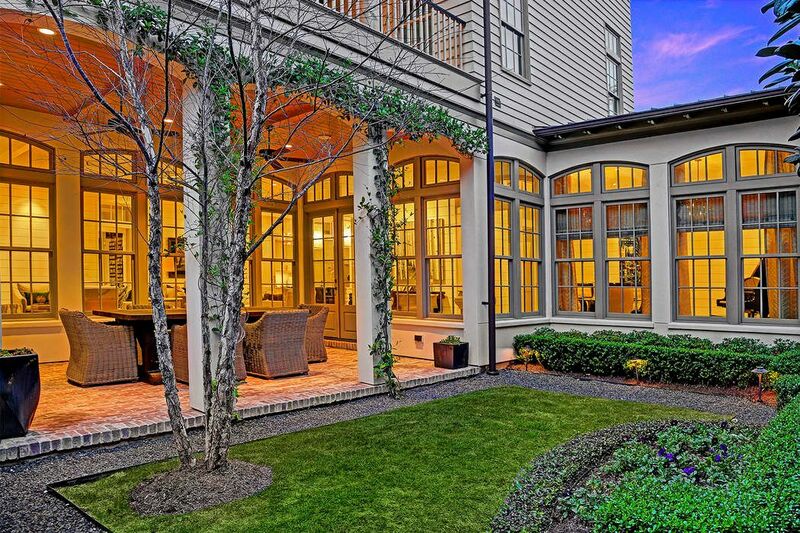 On the same floor is a large Study/Sitting Area with fireplace which opens to the Master Porch. The three Secondary Bedrooms with en-suite baths are located on the third floor as well as a spacious Game Room and covered Roof Terrace with fireplace. Upgrades include automated lighting, security and air conditioning, and A/V integration.